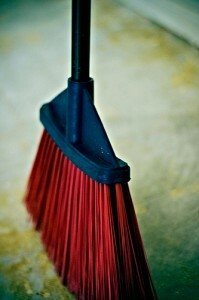 How do you feel about housework? Personally, I’m not a big fan. But in a recent fit of (late) spring cleaning, I decided to sort out my mobile learning bookmarks in delicious, in preparation for some research I’m doing on the topic. And voila! I came across all sorts of fantastic stuff I had forgotten about. Given the power of lists, here are 6 key (to me) mobile learning resources. Actually, this is cheating a bit, because some of the key resources in my list of resources are themselves lists of key resources. If you know what I mean. But hey, my list only has 6. What are these resources good for? I have tweeted and blogged about this video, which is still top of my list for seeing mlearning in action. It describes a project carried out in the UK at a primary school, in which an entire class of 32 8-year olds were given an iTouch each. The video shows how the device was seamlessly integrated into the curriculum over a period of time, and the video includes comments from the teachers and kids themselves. Totally inspiring. Schools in St Marys City in Ohio, USA, have been using mlearning in a series of pilot projects. This website includes not only experiences and reports on the St Mary’s projects, but also links to other case studies, and news articles on topic. Also worth a look is their Acceptance Use Policy for those of you considering introducing the use of handheld devices into your class/school. Plenty to keep you busy on the site for several hours. Another school-wide initiative in mobile learning, this time from the UK, and started in 2003, and this is another site worth browsing if you are thinking of introducing mobile learning into your school/institution. The site includes this very clear graphic of factors to consider in implementation. From Upside Learning, this slide show consists of 50 resources, one per slide, including a short description of each. I really like this as an original way of producing a (long!) list of resources. 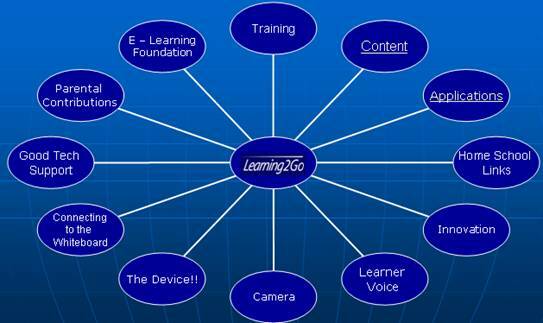 It also cunningly takes my list of mlearning resources up to a total of 56. Another (long!) list, this time of iPhone apps for education across a variety of disciplines. This list was published in December 2008, so there have been some additions to this list since then. To update this list, especially for language learning, check out Graham Stanley’s blog post (on iphone apps), and Neil Ballantine’s blog post (on iPhone and Android apps), as well as the British Council mobile learning site. But in the meantime, this brings my list up to 106 resources. I am a big fan of Educause and their ‘7 Things you should know about…’ series. One of the earlier educational organisations to start using the web and numbered lists to get key concepts across, it’s clear and to the point, and perfect as an introduction to the topic, for both teachers and managers. Now for the disclaimer. This is a very personal, very short list of what I consider to be useful and interesting resources on the topic of mobile learning. To keep the list down to these 6, I had to leave out plenty of other resources that equally deserve to be included. You can find a fuller list of resources on my Delicious account – just search with ‘mobile’, or ‘mlearning’ to see what else I have. But in the meantime, I’m sure you have a favourite mlearning resource that I have left off this list, and that you are tutting to yourself about right now. Please add it to the comments section below! Great collection Nicky, thanks for sharing your delicious links. – http://www.learningsolutionsmag.com/ often has some OK reads. Nice collection. I have most of these but there are a couple I haven’t seen. Thanks @Neil for add more, too. Great resources.